2) The second is friendship based on pleasure, where both people are drawn to the other’s wit, good looks, or other pleasant qualities. Aristotle says that riendship of pleasure is normally built between the young as passions and pleasures are great influences in their lives. This type of relationship is characterized by such feelings as passion between lovers, or the feeling of belonging among a likeminded group of friends. It differs from the friendship of utility in that those who seek utility friendships are looking for a business deal or a long term benefit, whereas the friendship of pleasure Aristotle describes is where one seeks something which is pleasant to them presently. The first two kinds of friendship are only accidental, because in these cases friends are motivated by their own utility and pleasure, not by anything essential to the nature of the friend. Both of these kinds of friendship are short-lived because one’s needs and pleasures are apt to change over time. 3) The third is friendship based on goodness, where both people admire the other’s goodness and help one another strive for goodness. Friendships of the good are ones where both friends enjoy each other’s characters. 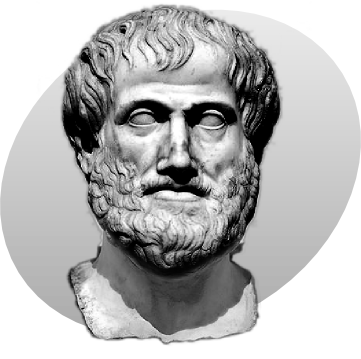 Aristotle calls it a “…complete sort of friendship between people who are good and alike in virtue…” This is the highest level of Philia,(φιλία), often translated “brotherly love”, and one of the highest forms of Love in Aristotle´s “Nichomachean Ethics”. Those involved in friendship of the good must be able to value loving over being loved and as such, their relationship will be based more around loving the other person and wanting what is good for them. Goodness is an enduring quality, so friendships based on goodness tend to be long lasting. This friendship encompasses the other two, as good friends are useful to one another and please one another. Such friendship is rare and takes time to develop, but it is the best. As well, Aristotle believes that it is through friendship that cities are held together. Those with the moral virtue to enter virtuous relationships are a major part of this but friendships of utility and pleasure are also needed as friendships of virtue are severely limited in number It is the friendships of utility and pleasure that keep the city together. however; it takes the character of those in the virtuous friendship for a solid community to exist. Aristotle states in Book VIII, Chapter 1: “Between friends there is no need for justice, but people who are just still need the quality of friendship; and indeed friendliness is considered to be justice in the fullest sense. It is not only a necessary thing but a splendid one”. Aristotle bases his conception of justice on a conception of fair exchange, and does the same for friendship. Friendships are balanced by the fact that each friend gives as much as receives. Hence, justice and friendship are closely connected. My Nominees Are / Mis nominados son: 1) English Through ICT. 2)The Regular Guy NYC. 3) Blue Fish Way. 4) English with a Twist. 5) Geografía Subjetiva. 6) Reconstructing Christina. 7) Ajaytao 2010. 8) Plato´s Symposium. 9) Philosopher mouse of the Hedge. 10) Tom Gething Re Reading. 11) Keith Garrett Poetry. 12) John Coyote. 13) Magnificum Sanctórum. 14) Authentic Teaching. 15) Anatomía de la Intimidad. Excelente la saga de “Ética a Nicómaco”. Me parece que hay una concepción moral o ética en el tercer tipo de amistad que plantea, porque se relaciona con la virtud, el bien y la justicia en la polis. ¡Gracias !. Claro el tercer tipo de amistad es fundamental, Aristóteles lo vincula con la idea de Philia (que a su vez es uno de los tipos de amor), se relaciona con la noción de amor fraternal.. En ese sentido es que puede entenderse a la amistad como un lazo que se proyecta positivamente entre los habitantes de la polis . Gracias a vos por pasar por aquí, en cuanto a lo del premio blogger: te lo merecés. Thanks @SylvesterPoetry for sharing this post at twiter. Updated /Thanks @SylvesterPoetry for having used the photo I sent you as an inspiration for your further poem. Haré lo posible para mandarte al menos un contenido afin al indicado si está disponible en archivos del blog. Sucede que en algunos casos, los contenidos no son tratados en inglés y castellano, sino en inglés o castellano y éste es el caso..
Hola Caroline… (I´ll reply in Spanish 🙂 ) Gracias por tu comentario y por tomarte tiempo para leer y analizar el texto… Te manejas muy bien En Español, como para leer y comentar nada menos que un artículo sobre Aristóteles.Estoy de acuerdo contigo: Muchas amistades, por durar mucho tiempo, podrían responder al tipo aristotélico “Amistades dirigidas al Bien”. Pero, creo que es un ideal difícil de lograr. Aristóteles pensaba en este tipo de amistad como “perfecta”. En la realidad, siempre elegimos amigos con algún “interés”- Y si hay interés no hay “virtud perfecta”. Un abrazo y gracias por la visita!… 😀 😉 Feliz 2017! But may find that pleasure could be also involved in our bond. It also depends on the state of the relationship , meaning the particular moment we are up on to, you know. Ps: Thanks for the lovely tweets you sent me today..
Aww 🙂 RT @aquileana: @christybis Am I reading british blogs? > "fall head over heels in love"
Ticky hugs for you, as your are my Best Friend, Christy… It is always nice to see you here so thanks for dropping by. Congrats on being nominated for the award! It’s well deserved as your blog is so interesting when it comes to history and the world of writing. Thanks for nominating my goofy little blog. It’s much appreciated! I know what you are trying to point out Phil..
Hmm probably Aristotle hadn´t many friends. Well as regard to the nomination you deserve it, your blog is witty & clever and you also make me laugh, so: there it goes !. Thanks Maxima , you are a great friend here in Bloggerland. Aristóteles, igual que Platón ponía la amistad entre hombres por encima de las relaciones entre hombre y mujer, útiles para la procreación, si no me equivoco. Sí no sólo la amistad sino el amor entre hombres, para ser incluso más extensivos… De hecho, el tercer tipo de amistad basada en el Bien / Virtud es llamada Philia que es amor fraternal, (entre iguales), por ende también se explica desde este punto de vista. Congratulacions Aquileana for the blogger Award.! Hi Aquileana. Congratulations on being nominated for the Versatile Blogger Award and thanks for nominating me. Your blog is simply awesome. I’ve found this post especially insightful. Thanks for sharing. It is my pleasure to nominate you as your blog is a good oneso you truly deserve it. Good to know you enjoyed this post. Thanks for dropping By!. a contribution & aid other users like this helped me. Thanks Rose Marie for stopping by. Yes, after all we are all here to learn from each other´s posts. I will take a peak later..
As to the loving friendship ( “l’amitié amoureuse”) I believe it might be a sort of deeper friendship based on pleasure (second type according to Aristotle). d´ accord?, merci, chérie . Interesting post as usual dear Amalia. Thanks for sharing with us and congratulations for the new award. Thanks a lot sweetie, I am glad that you have found it interesting,. Good to hear from you too. PS: Hope to see you back again in blogland!!!. Sin duda un merecidísimo premio, sinceramente!!! I would love to read the book on Aristotle! Hi Leah.. “The Nichomachean Ethics” is an excellent book not only to read but to re read it . I do so enjoy reading your posts – always informative and interesting and inspiring… this piece about the 3 different types of friendship has got me thinking! Thanks a lot . Your words mean a lot to me Freya. Sobre los tipos de amor que recoges en esta entrada tiene CS Lewis -sí, el de las Crónicas de Narnia- un precioso libro glosándolos, que se llama precisamente ‘los cuatro amores’. Muchísimas gracias por la referencia. Bueno, en todo caso, Aquileana, aplaudo tu didáctica lección. Me ha encantado. Muchísimas al.. Sí , intento hacer contenidos quizás “con alta carga filosófica” más amenos. Igualmente la “Ética a Nicómaco” es relativamente accesible, creo que. Gracias, excelente. Te queda todo bien accesible: un buen objetivo y mérito. Vos… genial!!! Pues eso… vos y el bien :). Un abrazo. Thanks for stopping by to read and comment… Your blog is really interesting and I am following you!. So glad I came across it. Good to know you have enjoyed this post too. Great that you have enjoyed the post. I´ll be checking out your updates as soon as possible..
Hey sweetie , Good to see you here; DG! By the way, I loved your book, but I have the sensation that It would be hard for me to review it . Not so sure if I would be able to provide you a worthwhile feedback to add at Amazon. Unless a very brief summary and opinion is well enough. Congratulations on the well-deserved award! If I were into awards, I’d nominate you too for some super award, but, unfortunately, the whole process is just too complicated for my poor old brain which is slowly calcifying! All I can do then, Aquileana, is to thank you wholeheartedly for yet another fine post which is providing the necessary stimulation for my declining brain to stay alert as long as possible. This statement qualifies our relationship immediately as one of Utility. But that’s not all as I derive immense Pleasure from reading your posts and our interaction, and as I rejoice in your successes and your well-being, and I know you feel the same about me, our friendship is then complete with Goodness the bonding glue. Thanks for your thoughtful comment… Yes as you have well pointed our virtual friendship perfectly matches those two categories you have mentioned ( friendship based on utility and friendship based on pleasure). But all the three types are worthwile as Aristotle highlights that the life of the polis depens on the three of them. 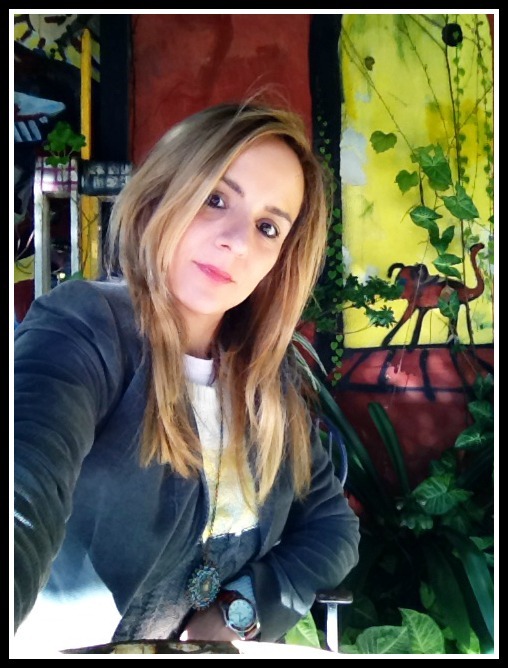 It’s always such a pleasure to read your posts and I learn so much from you, dear Aquileana. Excellent I truly appreciated the nominations. I am really flattered!!! You are an excellent blogger and friend in Blogland, dear Ajay. La magia de Pi o Phi. Pi o Phi> 3.14… or Philsoophy. I really like this post – Three Types of Friendship. I want to thank you for following my anneli’s place blog. I also have a second blog http://wordsfromanneli.wordpress.com Would welcome your visit there. Thank you very much for dropping by and for your encouraging words… I am checking out your blog right now!. I could argue about the first two tenets of friendship being assigned young and old for the old gather to share interests of golf, good wine, sports teams and other hobbies where I have seen the young be quite mercenary in choosing friends that could help them up the career ladder…but I’m not a philosopher. Another good post, thanks. Thanks a lot for dropping by and for your comment Dunelight!. I truly appreciate your words… Your thoughts are accurate and I pretty much agree with you! Thank you for the follow. Your blog looks fascinating. I have been blessed with a few friendships based on goodness, and they are the best of all. These people remain your friends through thick and thin, always remind you of the good in you, and create a desire to enrich your life. Great comment dear Gypsy. You are so right… Friendships based on goodness are certainly the best of all. They are hard to find though! . Great philosophy of friendships – thanks so much for this post! You are amazing!! Having spent a couple of wondrous hours reading through your highly informative posts and revelling in the sumptuous richness of exquisite paintings and effulgent imagery, I arrive at last upon a post that speaks to the very heart of each and every one of us. And how beautifully philosophy’s robust voice climbs above the usual homiletic discourse in denouncing the vanity of superficial friendship to focus instead upon the fundamentals of compassion, kindness, understanding, consideration, tolerance, and empathy…the true qualities that describe us as enlightened beings. Thanks a lot for dropping by and for your beautiful comment, Dewin!. Great post. I got lost a couple of times,especially trying to imagine what Aristotle was on about. 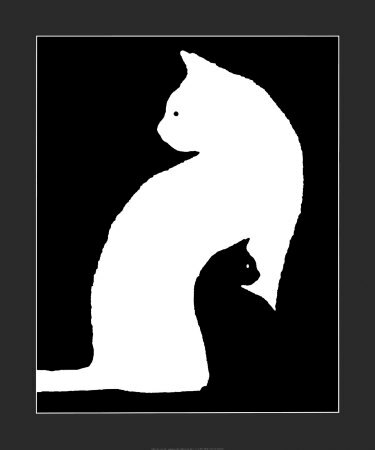 “A single soul in two bodies” is unCat like. We are far to self interested than that. But there was so much here to enjoy. Thanks. Your blog is very interesting; you might like mine, too. Please check out my post, “Passover And Resurrection Sunday, 2015.” Please let me know what you think about it. I trust that you will have a good day. Thank you for following my blog; that is very kind of you. A very interesting post Aquileana. Thank you. And Thank you for your support of my blog. You will always be welcome there. Delightful and true, Aquileana. I’m happy that you’ve brought this back to my memory. I remember reading it many years ago, and I took so much from it then, as I do in this reminder. Aristotle was on the mark all those many years ago, and his discourse still holds true today. Thank you for visiting my blog, and for following. I hope you find some leisure there. I agree that “a friend to all is a friend to none.” The fundamental sentiments of Aristotle still ring true. Friends or not, there is always the need for justice. One thing not mentioned, friendship is usually based on a perceived equality, or equity, between friends. There are always exceptions, of course, but one seldom sees friends of disparate economic or social status or standing. However, if one does, it’s usually of the necessity kind. Disclaimer: I am not Aristotle reincarnate. P.S. many people like “A friend to all is a friend to none” . 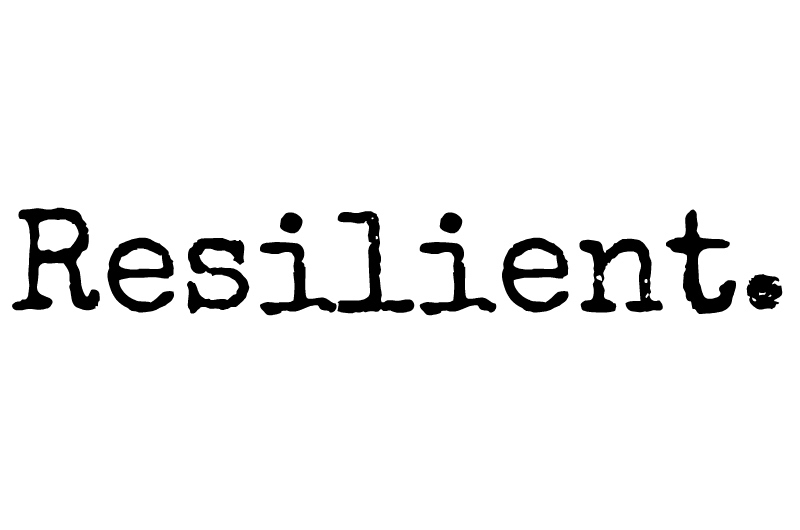 . . but we do have instances where we act in a friendly way toward classes, groups, or organizations, and even act in a human-friendly way, often to the point of putting the needs of others ahead of our own. For instance, voting for an increase in education taxes when one does not have any children or no children in school, is an altruistic action that could be classified under friendship. Or, maybe not. Your statement reminded me of Aristotle’s ideas regarding Justice… For him, Justice means giving equal measures to equals and unequal measures to unequals. I’d say that being fair with our friends and that they are fair with us is probably one of the most important things. As to the disgression regarding A friend to all is a friend to none, I agree with your words, and I think that is probably an example of Friendship based on Utility, to follow Aristotle’s types of friendship as stated above. Reblogged this on Foolish Wisdoms. This is a wonderful post, it really appealed to me. I have two close friends that have been with me for over thirty years and I’m so grateful to have them in my lives. As I strive for goodness, i am reassured as I recognise my own friendships based on goodness. I will enjoy reading his ‘Nichomachean Ethics’. Thankyou for the reference, and link. Dear Aquileana, I know this is an older post, but somehow I missed it. Thank you for sharing your insights into these marvelous ideals. Wishing you health, happiness, and success of every kind in 2016. Mega hugs! Thank you for following, Elm Drive Images … your blog is great! Great post….. #3 is what we should, all strive for but sadly, with the world as it is; ‘Utility’ (#1) friendships abound. an amazing feature on Aristotle who is, it turns out, still relevant! Great post! Loved the content. It’s amazing someone from so far back in time had such wonderful thoughts and wrote them down! Thanks for sharing. 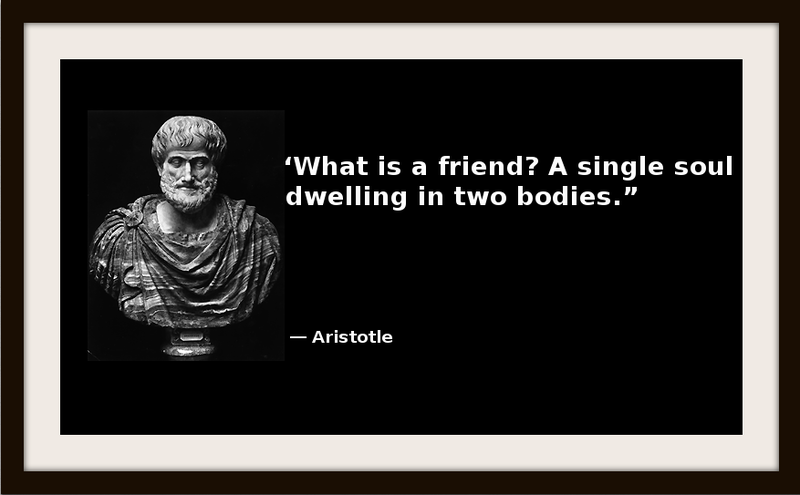 Trust Aristotle to lay out friendship’s complexities. Great post! Thanks for the visit and the follow. Your site is very interesting. Count me in as a regular visitor. A most interesting post, Aquileana. Thank you. I hope you are doing well. Me parece que tienes un blog biligue…si? Me gusta. Gracias por seguir mi blog. Aquileana, this is my favorite post of yours. It’s friendship that makes life richer and warmer. I’d rather be rich in friends than money any day. Congrats on the award. Can only count on my fingers not my toes how many brotherly love friendships I have. Many are in my family. Hi, what an informative and comprehensive article. Helped me a lot with my dilemma. Like the facts you have pointed out. Absolutely true! Lucid explanation. My own view is that even friendships have to be symbiotic at some level. And, like all relationships, can change over time. Thank you so much for the follow. I am looking forward to reading more of your blog and it’s great to have this connection. Aquileana, this is an AMAZING post! WOW!!! It is current. It is relevant. It resonates with me on so many levels. To think that this (about friendship) was written centuries ago and still rings true today is awesome. You are most welcome Aquileana. It just goes to show how cyclical life in general is and that there is nothing new under the sun. What Aristotle said centuries ago still holds true in the 21st century. I will continue to read through your most interesting writings. I have often said to all sorts of people- how wonderful it would be- for around 50 people – completely unknown from all different nations and back grounds- to be together for a couple of weeks- face to face- in some remote place far from any where. Then as we engage I am sure we would learn so much so quickly about each other. And from that a life changing experience. The language would not be a barrier- I have been in nations where the easiest thing to display is a smile that is genuine- to get beyond the shyness and simply live a moment in some elses life. Thank you for your comment of like! most humbling indeed. Mille gratzie…… Roberto. Interesting post Aquileana, thanks for sharing!!! Adequately concise and beautifully written post. Excelente post. Nos refresca la memoria sobre el valor de una amistad verdadera, especialmente en estos días de costumbres tan superficiales y de amistades virtuales diseñadas simplemente para el ego. Aplaudo este tipo de artículos. Un abrazo. Saludos. I would say share a lot of kindness. And I would have to agree with you! 😉 Thanks for dropping in … All the best to you! Me gusta la amistad. Me gusta el arte, todo tipo de arte. In my mind the first two types of “friendship” qualify to be referred to only as relationships of convenience. Sadly, these are the only kind of friendly relations most people in our culture know, or in many cases even admit to existing. Myself, I entertain and allow only the third kind in my life. For this I pay the price of much solitude and personal inconvenience — but to me the ability to be always genuine in every moment is easily worth that sweat and pain. I agree with you … it is hard to find the third kind of friends nowadays… I was thinking that things changed a lot since Aristotle’s times, too. So, given the materialistic society we are used to, it would be really strange to find true, genuine friendship based solely on goodness. I don’t think there are too many relationships of this kind… except from those ones based on consanguinity. Of course, I am speaking for myself. You’re completely right, and even — sometimes especially — the ones based on consagnuinity tend to deteriorate into base bargains. Nonetheless, it is the kind of friendship I offer.